Welcome back to Simply Stacie‘s PRETTY ON PINTEREST Thursday Link-Up. Doesn’t this look sinfully delicious? I have half the ingredients to make this. Just need to buy some oreos and I’ll be on our way! I’m waiting for our assignments for Dinners for 8 to know what we have to bring. I want to bring something AWESOME that I found off Pinterest. However I think we are in charge of salad and bread next dinner (lame). I posted this pin during my Wordless Advent series but I liked it so much I’m posting it again! Since I bought balloons last week I might try and actually make this soon. How yummy to have hot chocolate in a cup made out of chocolate! Another sinfully yummy dessert. Last but not least here is a yummy looking Chocolate cake! This recipe calls for one of the WEIRDEST ingredients (for a cake). 1 Cup of coffee! Supposedly you can’t even tell it’s in there. I haven’t made this recipe yet but it’s on my list. I feel like a lot of us have a list of awesome pins we want to make “one day when we get an extra 5 hours in the day”. 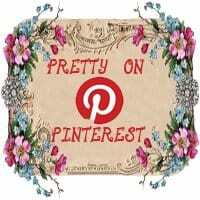 I hope you enjoyed this weeks segment of Pretty on Pinterest Thursday. To see more of my pins make sure you and make sure to head over to Simply Stacie’s Pretty-on-Pinterest Thursday Link-Up for more CHOCOLATE Pins! Wow that Oreo Cookie Dessert looks amazing!! I bet its good! Love the oreo recipe. I am going to have to try that. I love the chocolate cups. I really need to make some with Splenda so my hubby can have some.